The below is a slightly expanded write-up of the notes I made before speaking on a panel at the launch of Paul Mason’s new book, Why It’s Kicking Off Everywhere, last Thursday at the Southbank Centre. The panel, composed of myself, Mark Fisher, Dan Hancox, and chaired by Ellie-Mae O’Hagan, was an opportunity to delve into some of the issues surrounding ‘horizontal networks’ and protest emerging from Paul’s book. What follows is no attempt at a comprehensive review, but one perspective in what felt like a discussion that could have profitably gone on for much longer. In his book, and in a number of articles surrounding it, Paul has asserted that a ‘network can usually beat a hierarchy’, and this optimism is in some sense the fundamental claim of his book. I don’t share that optimism, or at least I see reasons to be cautious about thinking about victory as already-achieved – by any estimation, and in any sphere, 2012 is the year of retrenchment. That is as true for the countries of the Arab Spring as it is for anti-austerity activists in Europe, where initial success meets political inertia and neutralisation. There’s one point in Mason’s book that hasn’t been much remarked by its reviewers, perhaps because they don’t know whether or not they agree, and it’s about Marx’s success: Mason asserts that the reason Marx’s analysis and political prescription surpassed his contemporaries to the point of eclipse is that he refused to retreat into dream utopianism or Golden Age thinking, but confronted the current material (and technical) reality of working conditions and worked from that basis. The retreat from this kind of thinking into fantasy characterises the political response across Westminster: a return to either the anti-theoretical ‘moral’ capitalism of Burke, restrained by submission to the institutions of tradition, or to a Golden Age of industrial struggle with a unified and militant proletariat that never really existed. The best one can say about these fantasies is that they are ludicrous: for all that one may look back longingly, history flows only in one direction. So, retrenchment, too: unemployment likely to hit three million, double-dip recession, Eurozone crisis, real-terms wage stagnation and decrease for the past decade now suddenly stinging, incarceration, fear and isolation; the social crisis we’re likely to see as a consequence of austerity has barely begun to be revealed yet. The Guardian reminds us that we’ve yet to see 94% of departmental cuts, and 88% of cuts to welfare. In this context, the sociological type Mason outlines – the networked individual, and, especially, the ‘Graduate without a future’ – matters. Critique of the ‘Graduate without a future’ (GWF) has often focused around whether it’s supposed to be a substitute for class analysis, and any competent reading of Mason’s book will suggest how stupid a critique this is: it’s certainly not a replacement for class. In fact, this sociological figure cuts across classes, and it’s far more cogent to look at class as a faultline that develops in the GWF: for instance, while debt is a unifying factor for all graduates, relationship to debt differs depending on institution and background. The figures may be the same, but the privilege accorded to Oxbridge or Russell Group graduates differs; just as the relationship to taking on debt in the first place is striated by class. So, the GWF is a synthetic figure, unified in some senses, but grouping under its heading profoundly disparate types. But the question it poses is this – and it is the implicit reason Paul draws so heavily on 1848 in his book – in the absence of the ‘graduate job’ (a promise that was always iffy, now completely hollow) and the trade-off of debt for social status and the ability to climb the ladder, in the context of recession and stagnation, does this ‘type’ head toward a more profound questioning of class structure and work? Or does it break off into reactionary formation, start to ask, instead, questions about who ‘deserves’ prosperity, head towards economic nationalism, in other words, all the temptations of a reactionary populism? There’s been much lamentation of the supposedly non-ideological, post-political, perhaps even cynical character of much of the so-called ‘student movement’ and wider anti-austerity movement, either as simply struggling for a return to social democracy, or as embodying a profound disillusionment with political institutions. What much of this – especially the usual tedium about protesters as ‘Thatcher’s children’ – often means is that this is a politics that is not recognised as such. One thing that social media often makes clear is the chumminess that extends between journalists and politicians of nominally opposing sides; there’s no doubt that there is a crisis of deference, too, that the ‘proper’ political behaviours, the due obedience to appropriate channels, has substantially evaporated. Instead of trying to roll this back, perhaps we should ask instead what it would mean to actually go and meet this political culture where it is actually being formed, instead of trying to jam it back into the old models that have failed its actors time and again. You cannot go back: we spend much time worrying about ‘the movement’, but the reality is that it will not look like it did in the past. All our models of collective action have depended on organising notions of continuity, of commitment and unity, but these are no longer the watchwords of political struggle: one of the strengths of Paul’s book is its concentration on what kinds of new subjects might be emergent under new technological regimes, and, especially, the growing importance of peripheral actors, those whose ideology (if it exists at all) is certainly heterodox, who feel free to move between engagement and disengagement. In simply lamenting this, rather than thinking about the opportunities it provides, we hobble ourselves. This isn’t a kind of techno-utopianism: Hayek, after all, thought he knew all about the atomised-but-networked individual. 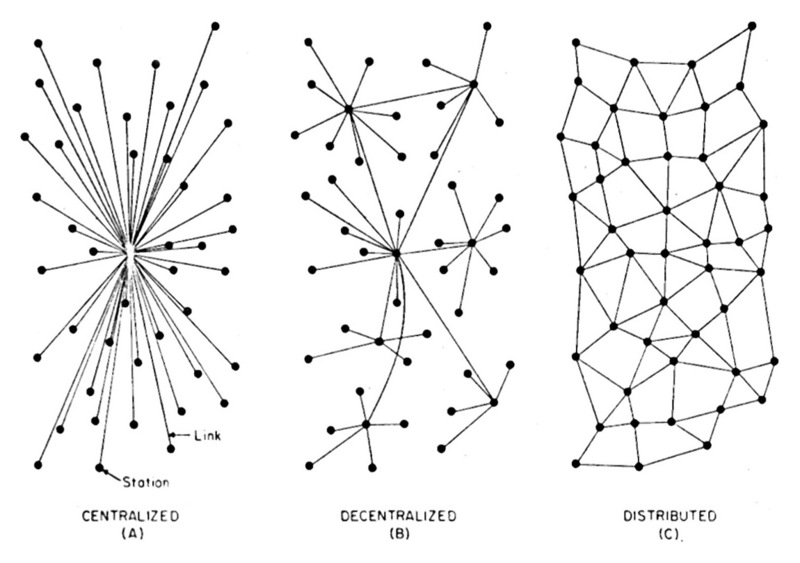 The political fact of the network is, in itself, neutral: instead, let’s ask questions about what the networked and increasingly autonomous individual does in reaching for collectivity and community, what opportunities for intervention this provides us – in other words, look clearly and unflinchingly at the new terrain, rather than trying to roll back the clock. If I don’t share the unfettered optimism of Paul’s credo, it’s because the severity of the crisis is about to intensify. In 2007, the historian David Kynaston published Austerity Britain, a history of the post-war years of scarcity; in commenting on the current crisis, he points out that the common bonds that held us together through the difficulty of those years have irretrievably dissolved. The danger lies in an attempt to survive by nationalism, by trying to recover the kitsch communality of a past that was miserable and oppressive for most people. There is a further danger in talking about technology and politics, that thinking the free flow of data and communication has overwhelming political power. Venting anger online, clicking ‘like’ on a Facebook page or retweeting some well-expressed ire can act as much as a safety-valve as it can a catalyst, with people blowing off steam for some back-slapping catharsis: worse still is the encouragement that underlies it to believe that society is constituted as a debate chamber, where simply having the best, and best-expressed, most-viewed or liked arguments, somehow can create political change. It can’t, and won’t, but the petitionary mode – the belief that adding one’s name to something, or asking for someone to change something on your behalf – is a continual peril of digital self-production. The crisis is worsening: its next engine and substrate is unquestionably housing, in which private sector landlords are increasing stock (by 42% in the last 5 years) at the same time as a lack of lending, and the lowest output in housing since 1923. Depressed stock and wage stagnation means unaffordable rent, repossessions, anti-squatter legislation and an incipient housing crisis, but how we organise around that is hard to answer. In the meantime, public sector unions have rolled over in the pensions dispute, the CWU smilingly accept the roll-in of workfare, and Serwotka and McCluskey idly rattle sabres with no likelihood of delivery. The network has proven itself good at responding to legislative events – it can call a good protest, make defeat look noble and spectacular – but going beyond the reactive nature of these things, and using the emergent properties of the network to set an agenda of resistance not dependent on the slow drip of legislation or the inertia of the trade unions is the more daunting task that confronts us. If we accept that there is a crisis in deference and cynicism about the useless traditional forms, then we should also have the courage to break free of the dogmatic images of resistance, as well as questioning the ‘codes of conduct’ that defang economic and political resistance: this means looking at things that are banned because they work, including wildcat strikes, secondary picketing, co-ordinated disputes, but also political resistance outside the traditional industrial form, such as autoreduction and sudden irruptive interventions in political discourse. This means intervening in the mainstream, certainly, and refusing a kind of puritanism that we can ill afford; it also means coming to the struggle where it’s actually taking place. History doesn’t flow backwards, but we can learn its lessons: in a recent interview, the billionaire George Soros sounded curiously like Paul Mason, when he stated that the collapse of ‘market rationalism’ was as serious a crisis as he had ever confronted: ‘in the crisis period, the impossible becomes possible’ – and that is an opportunity we should seize.